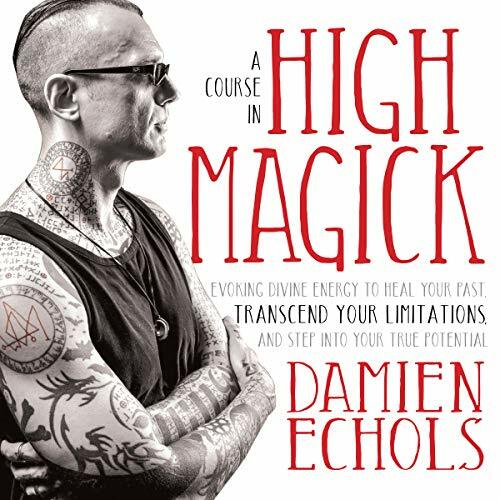 “Magick saved my life,” says Damien Echols. When he was on death row for a crime he didn’t commit, Damien used the spiritual practice of magick to stave off intense pain and despair, keep hope alive - and ultimately to manifest his freedom. Now this best-selling author presents an unabridged audiobook on this misunderstood tradition, bringing listeners instruction in key meditations, insights, and practices to reshape our reality with the divine energy of creation. How will you change the world? Warning: This is a heavy duty grimoire full of magick, abstract magical theory, paradigm modeling, and subversive ideas. A collection of occult texts including Blood Magick, Post-Modern Magick, and Tactical Magick, in addition to more spells, projects, history, and other writings. 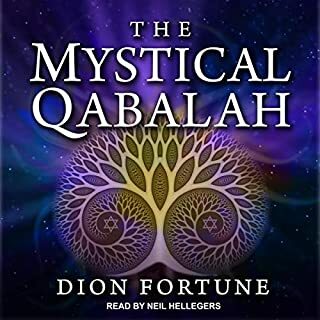 Dion Fortune's classic, The Mystical Qabalah, explores all aspects of the Qabalah, including the esoteric sciences of astrology and tarot, which form the basis of the Western Mystery Traditions. It provides a key to the practical working of this mystical system for both novice and initiate alike. 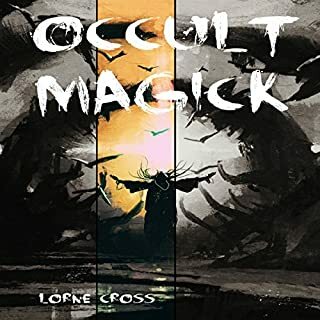 Occult Magick is a system for crafting powerful spells that will transform your life, your actions, and yourself into their most potent versions. It can be used to attract wealth, maintain health, provide protection, and unleash devastating attacks. 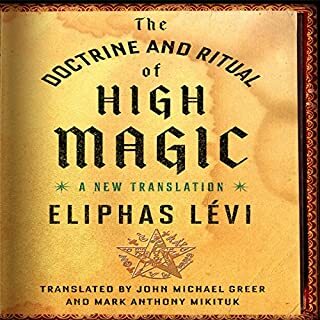 Drawing from a blend of witchcraft, chaos theory, hermetic rituals, and indigenous sorcery this book is your manual for no-nonsense results based magick. This is the most comprehensive book on the subject of modern practical magic to date. Practical magic makes real and observable changes in yourself and your environment through the invisible forces that manifest and transform your reality. You could be the target of a spell or curse and not even know it! All people, witches or not, are susceptible to these attacks. The difference: witches and magicians can do something about it. Now you can too. Protection & Reversal Magick is a complete how-to manual on preventing, defending, and reversing magickal attacks of any kind. Unlock the powers of your mind in this concise, enjoyable course. 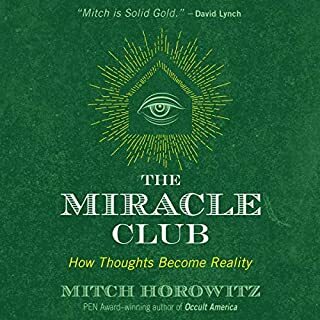 In 10 simple and straightforward lessons, PEN Award-winning historian and explorer of alternate realms Mitch Horowitz surveys the most persuasive ideas and techniques from within the positive-mind tradition, and shows how to use them in your life. You have to be hungry for change. Magick is real. Reality is yours. What is presented before you is a collection of my three previous texts on magick, ritual, and reality. My intent is to provide a comprehensive tome that can help you to empower yourself and increase your quality of life, with a strong sense of adventure and a firm foundation of magickal theory. Liber AL vel Legis, also known as The Book of the Law, is the central sacred text of Thelema. Channeled by Aleister Crowley and transcribed by his wife Rose Edith Crowley, The Book of the Law has become a cornerstone of New Age thought. Astral Magick is the traveler's guide to results-based astral projection and beyond, using a blend of occult spellcraft, mythic understanding, and personal empowerment to set you on the path to becoming a limitless adventurer in the otherworldly realms of the astral plane. What you are about to hear is not for the faint of the heart. You will be creating a powerful spiritual entity - an entity that will know you better than you know yourself. It will know all your secrets, your weaknesses, and your strengths. It will also be your servant. It will do whatever you tell it to do, both for good or ill. Although it is you who will create it, its energy and life force traces back deep into primordial time. People throughout history, and even to this day, call upon these entities for help. 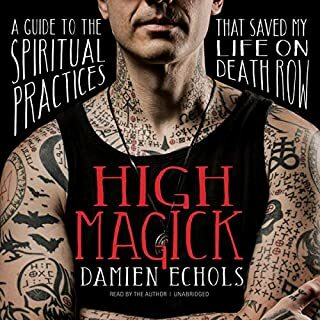 Damien Echols credits the practice of magick for helping him survive his wrongful imprisonment on death row - and allowing him to create the circumstances that led to his freedom. With A Course in High Magick, he shares the essential teachings on magick for anyone committed to personal transformation and service to a greater purpose. 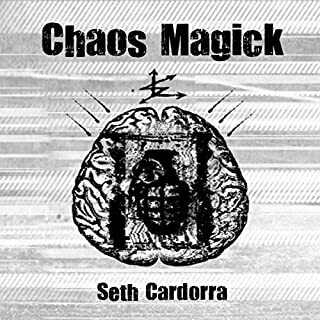 Here he introduces listeners to the history of magick, offers guided exercises and meditations, presents step-by-step instruction in key techniques, and more. High Magick changed my life. And I have only just begun doing Damien’s practices consistently. I feel Damien has accomplished a rare feat — something many spiritual leaders have not been able to accomplish. Damien makes energy work relevant and accessible to those who don’t self-identify as “spiritual seekers” or “energy workers.” He has built a bridge between two worlds. I am very grateful to be alive at a time when works like this are made accessible to all. Thank you, Damien. The exercises in this audiobook will change your life. Nearly every sentence is a pearl of wisdom. It is also presented in a way that is easy to understand. I have been practicing yoga and meditation for years, and this is definitely one of the best books on energy work that I've ever "read". It you are looking for theory & theurgy...this book is a definitely worth checking out!! This book really tied so much together for me to feel confident in a cohesive magical practice that feels right for me. I have pursued shamanism, Faye magic, Hoodoo, but always struggled with the ritual and dogma at times, or ran into charlatans and narcissistic teachers. Damian’s voice was calm and soothing and he really provided some potent and grounded information that I think any magi would appreciate. I have to start by saying that this audio recording is not an exact read of the book, as most audio book users are used to. If you like to read along with your narrator, you will not be doing it with this. That said, this audio book is very much an additional tool to be used with the printed book because it includes guided meditations and visualization techniques. For the past year I have been trying to implement magick into my life and had no results whatsoever. But without a dedicated teacher, what does one do to achieve results? It seemed like a sign when Damien released this book because I had been following his story since he became a newsworthy figure in the 90's. He's writing about magick? This must be a message for me. In the book Damien points out that one can not start doing spellwork without first taking the elementary steps to hone their energy, therefore for new users spells and spellbooks are usually not going to work. This audio recording is serving as a first teacher for me. Damien's guidance for all users is helping me hone my energy so that eventually I can do spellwork. That said, these beginning rituals are very much beginning. If you are already an energy worker, these will probably not help you. This is a starting place for magickal practice. Damien has a wonderful, deep, soothing, calming voice that is perfect for narration. You can hear his passion for the art and practice when he speaks. His voice helps me concentrate and ground. If you know anything about Damien Echols' history you know that he is the perfect person to teach this subject. In the book he outlines how these practices have helped him survive in the past. I am delighted to learn from someone who has dedicated so much of his life to this practice and am looking forward to all of his upcoming works. loved the passion with how this book was read. The author put a lot of heart into the book and it clearly shows. Absolutely love it! This book changed my approach to magick and energy work. Damian’s guided meditations were very helpful & the direction is straightforward. My practice has become more focused & productive. I loved this book. Great narration. Memorable experience. Exceptional insight. Will listen more than once. Thanks to the author. finished this right now 4amwhile taking picturesof cells from a fluorescent microscope,lol. This was fantastically narrated by Damien himself, and serves as a good introduction to High Magick. You will learn various breathing and visualisation techniques, as well as The Rose Cross and LBRP. I highly recommend this, it is very easy to follow and narrated perfectly. Remarkable man with an inspiring description of Magick and it's practical application. Excellent narration.. feels genuine and heartfelt. One of the most enjoyable audio books I've listened to on the subject matter.